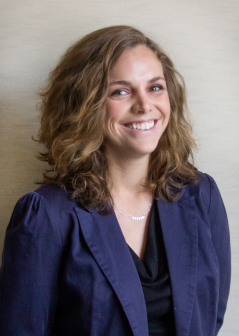 Ms. Paige McKinsey is a Legal Assistant at the Federal Practice Group and in this capacity primarily supports the firms’ operations department, client intake, and employment cases. Ms. McKinsey obtained a Bachelors of Arts in International Affairs and Women and Gender Studies from the University of Mary Washington (UMW). While at UMW she was selected to present her honors thesis on girls’ education initiatives in Kenya at the Pi Sigma Alpha conference at Georgetown University. During her time at UMW Ms. McKinsey interned with the Feminist Majority Foundation as a Global Health and Human Rights Intern where she researched the global unmet need for contraception. After completing her degree, she joined the Peace Corps as a Global Health and Malaria Prevention Volunteer in Togo, West Africa. Throughout her two years of service Ms. McKinsey conducted numerous projects both in her village and throughout the country including, writing a grant to repair seven water pumps in remote villages bringing water to over 5,000 people and organizing a nationwide girls’ science camp and teacher training. She worked as the Program Manager for Peace Corps Togo’s Gender Equity Committee and as the Research Specialist for Pathways Togo (an NGO which provides scholarships to Togolese girls).